The sudden appearance of the ‘Rich kids’ fashion, taking after the name of a popular social network for children of rich families, has created much concern among parents and the community in Ho Chi Minh City (HCMC). 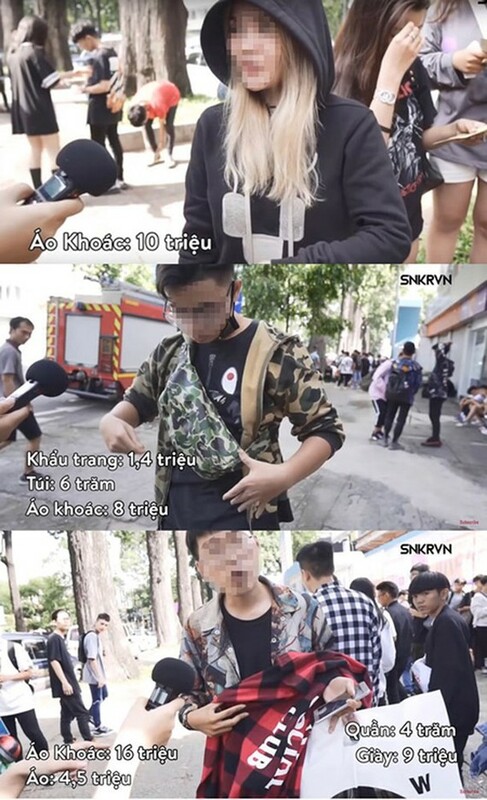 The recent posted clip about the young in HCMC buying and wearing designer clothing has received thousands of like, share, as well as opposite opinions from viewers. This has signal a new and controversial trend among young Vietnamese people – trying to show off their richness. The tendency of the young valuing and crazily following renowned designer fashion is nothing uncommon. They can proudly boast about their socks, hats, or clothes which normally cost from hundreds to thousands of dollars just because these items have designer labels. These actions are usually to attract admiration from others and to affirm themselves. However, this trend has also led to a great number of people becoming too vain, living in their virtual world of being admired thanks to their wealth, although in reality they belong to the middle class. To afford unreasonably expensive clothes, these young people have to do 2 or 3 part-time jobs, which means sometimes they have to sacrifice their learning and even their health. “It is obvious that wearing a pair of designer shoes is utterly comfortable. It also makes you look luxurious. And a picture of you in these shoes can attract many likes and comments in social networks, which is so satisfying. However, to buy them, I have to work part-time. But letting these jobs interfere with your studying is not worth. Though I still love wearing designer clothes, I have to prioritize my learning as I’m graduating soon”, shared N.H.H, a senior student of a university in HCMC. One very important fact is that there is no tool to help people identify whether those shown-off clothes are real or fake. There is no denying that designer fashion has its own worth and rank. Yet that the young become too involved in these items just to affirm themselves is troublesome. These pieces, regardless of their prices, are only accessories, and they cannot define the true value of an individual. 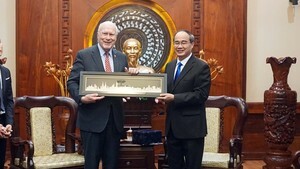 Sadly, a large number of young Vietnamese people seem to care about this.